Kenyan giants Tusker FC have repeatedly parted ways with Ugandan tactician Sam Timbe following the disbandment of the entire technical bench on Sunday. He becomes the second Ugandan to lose his coaching job in Kenya in just under a month following the departure of Sam Simba from Sofa Paka late last month. Timbe joined Tusker in January after the club broke ranks with another Ugandan George ‘Best’ Nsimbe following a string of poor performances last season. The former Sofapaka coach, however, carried on with the poor form when he found himself lying a distant 15th on the 18 team league with only nine points after 11 rounds of matches. Timbe’s latest predicament was worsened by Zoo Kericho, who handed the former champions a 3-1 defeat on Saturday at Kericho Green Stadium. 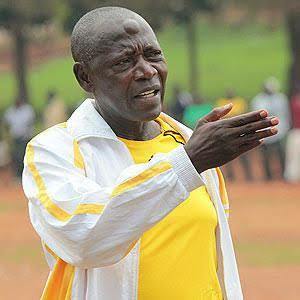 Timbe was shown the door alongside assistant John Baraza as well as team manager George Opondo and other supporting staff in a radical move by the club to save the face of the sleeping giant. “They have been fired, confirmed Tursker Officail Charles Obiny. “The match against Zoo was the final nail in the coffin. “It is done and dusted and no one has been spared. “New coach will be unveiled on Monday. Obiny was coy concerning further developments about the identity of the New coach but admitted on Monday there will be a presser.